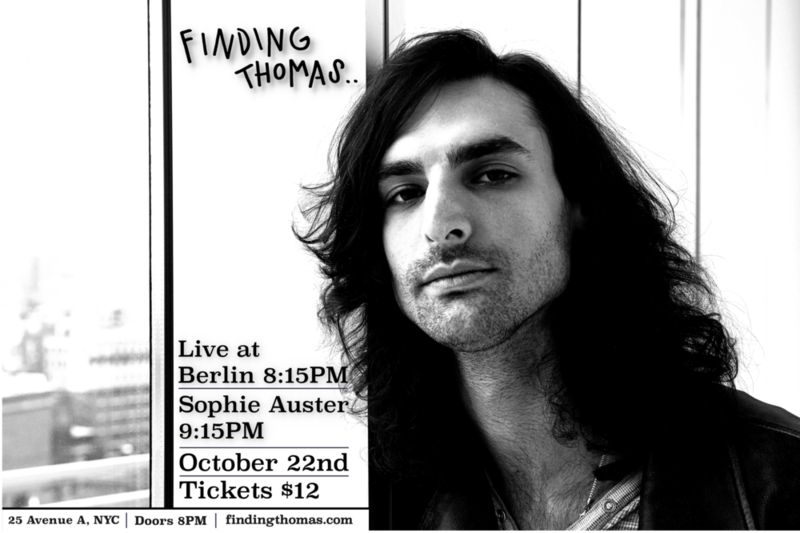 Come see Finding Thomas perform with Sophie Auster October 22nd! Come see Finding Thomas perform at The Bitter End! Only $10 at the door! Come see Finding Thomas perform at Rockwood Music Hall June 6th! No ticket needed! Come see Finding Thomas perform at the Bowery Electric on April 24th 8PM!! Tickets are only $8 here or at the door! Come see Finding Thomas perform at Hotel Cafe! Come see Finding Thomas perform at the Standard Hollywood!